AWWHH!! This is so one of my favorites and with two of the most lovely people you will ever know! Vanessa and Tim were married at Belle Gardens, and seriously guys I have a special soft spot for all my Belle couples and families, and they are no exception. Now to see them ready to have their 1st baby is so very exciting and precious! I photographed their wedding and now their maternity session, and I am honored. It was a beautifully snowy day as was this winter, and oh my goodness, it made for such awesome photos down by the pond at Wandermere Golf Course. 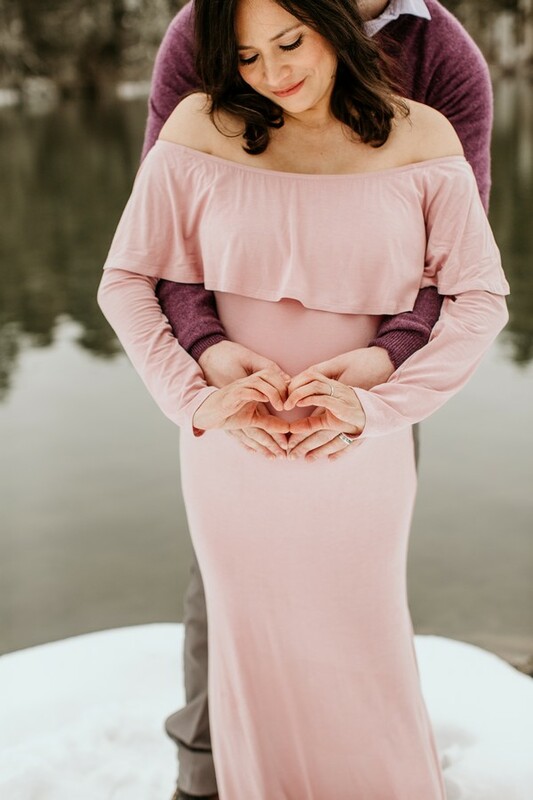 How gorgeous is Vanessa in her so pretty rosey colored gown, and Tim is so handsome and excited for this baby and the creation of a whole new life and family. Here are some from their beautiful session. « Allie & Nathan, Engaged! !